Have you found an online vendor selling Clement Creole Shrubb? Reading some of the reviews here, there seems to be some confusion over what Creole Shrubb is and how to use it. While I suppose some might drink it straight over ice, Creole Shrubb really shines best as a component in more sophisticated cocktails. Far more complex and nuanced than Grand Marnier, Creole Shrubb uses an agricole base instead of neutral spirits. The underlying grassy notes, combined with the additional spices make this an indispensable component in well rounded drinks. This is the only choice if you want to make a great mai tai, and is extremely sippable on its own. Once you've had this you will never think about buying Pyrat rum again. I wasn't expecting to like this much, as I thought Clement rum was too dry to go with orange. I was wrong! This has a very creamy syrupy texture, with a super sweet orange flavor! Borderline too sweet, though I admit I have a sweet tooth and I REALLY like it! In fact, I much prefer this to the Pyrat XO, the Pyrat 1623, and the Santa Teresa Orange. Although this is really more of a liqueur than a rum, it's orange liqueur done right, and you will really like it if you're in the mood for a sweet treat! The people who make this call it Orange Liqueur, not rum, and yet here it sits on a rum website. Probably because it's made with rum. Be that as it may, it's really tasty on its own, or with ice, and certainly in Tiki cocktails. Having read the positive reviews I was anxious to try this one in its most natural form, and it more than met my expectations. Wonderful orange flavor, nice level of sweetness, and has a pretty smooth finish. I can see why this would be a good one to use in cocktails, but it certainly also stands up by itself. At the risk of drawing ire from follow Grand Marnier devotees, I must say that I find this smoother, better tasting and longer lasting than my former favorite orange-infused beverage. It has also replaced GM as an ingredient in our desserts like creme brulee, mousse and cashew toffee. Was lovely as a quick shooter. .. decent afterburn and lovely subtle taste of orange ..
First off: This is rum as much as Grand Marnier is Cognac. It tastes a lot like Grand Marnier but smoother and lighter. I can also see sipping this at Christmas, though Stroh 80 would do a better job of lighting the pudding. Great product, can be used to sub orange liqueur in cocktails, it´s great in a Mai Tai for example. As a "shrub" in the vintage sense rather than the new vinegar syrups of today, this stuff is delicious. Great orange flavor, not heavy sugared or cloying. Just a smooth clean flavor with the finish of agricole rhum. This is a fantastic find and stands in admirably where the recipe calls for curacao, Grand Marnier, Cointreau or Triple Sec. It brings with it the agricole cut grass crispness and the strong zeal of orange zest. Our cracking Mai Tai of choice right now is, Smith & Cross Navy strength, Plantation Double aged Dark and Créole Shrubb with three fresh squeezed limes and home made orgeat. Friend offered it in Martinique in a planteur and it was great. Made for ladies or to be enjoyed as a dessert. Sweetness with the grass and sucre de canne flavours. Very good! Visited the Clement distillery while vacationing in Martinique. Self guided distillery tour ended with an open tasting bar. 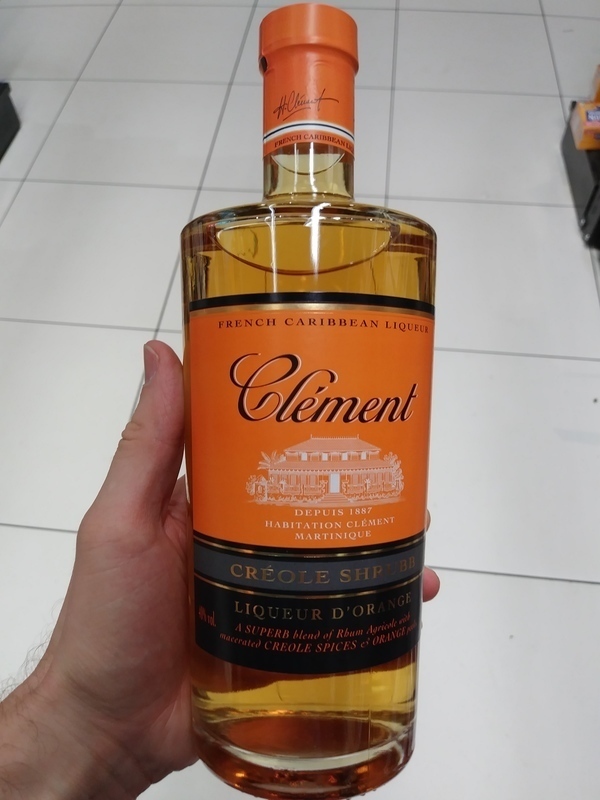 Clement Shrubb was priced at EUR 12 per bottle at the distillery. Shrubb is the traditional Christmas drink at the island. Nice bottle and label design. Traditional sweet Rhum Agricole flavors complemented with mild grass, some florals and plenty of citrus notes (mainly orange) to the nose and palate. Very mild burn at the end. Rhum Agricole fan boys can easily add 2 points to my score. That's (I assume) the reason most people are comparing this Grand Marnier, but make no mistake: Creole Shrubb is superior! Sweet, but not cloying. Broad, yet complex. Can be enjoyed neat, on the rocks and is an absolute star in cocktails! Intense orange zest is present all the way through, with a mixture of spices adding more to the depth of the liqueur than any particular flavor. All of this is lent marvelous support by the agricole backbone. This is my goto orange liqueur, it just rocks! Sugar cane Grand Marnier like liquor. Super sweet and honest orange flavor lingers. Tried it in an old fashion. Not bad I must say. I had not made my own Mai Tai's at home because orgeat syrup is just so hard to find. It must have orange flower water in it to qualify as orgeat instead of just plain almond syrup. I also had to look for a bottle of orange curacao, which is also hard to find these days, with the blue curacao dominating the market now. These two needs prompted my long trek to a very well stocked liquor store. I could not find anything labeled Orange Curacao, but came across this Clement Creole Shrubb. It was a much better buy than a half bottle of Grand Marnier, which would have been my last resort choice. This liqueur is at least made with rhum agricole from Martinique instead of French Brandy. I also found a bottle of Monin Orgeat Syrup and a couple of other goodies. This rhum/liqueur is much smoother than Gran Marnier, has a better orange flavor, and also has some West Indian spices thrown in. I bought it as a mixer, which is what it will get used for. At $28 for a 750 ml bottle, this was a bargain. This makes excellent Mai Tai's and Goombay Smashes! Update February 26, 2019: I now consider Clement Creole Shrubb as being the most essential ingredient in a Mai Tai. Since this was not even around when Trader Vic created the drink in 1944, adding this ingredient renders the drink to be "no longer authentic". Now that we are free to modify the original, here is my most perfect combination that I have found. Note that simple syrup is skipped because this one has so much added sugar already. Orgeat syrup is essential, but I like to keep it to a minimum. Also note that my choices of rums are now up to individual taste. Multiply by six to make a 750 ml bottle full. Instead of shaking all ingredients with ice and then straining into another glass and then adding more ice, this lazy home bartender just mixes all ingredients in large batches and then pours over ice. Then allow for the cubes to melt for a few minutes before the first sip..
Nice and harmony marriage between agricole and orange. Lot of oranges in the nose followed by a lot of oranges on the plate. There are also some spices and hints of chocolate. This one is not rum but liquer, but it is good. Fine for mixing or baking. Sweet orange rhum and with a long and pleasant aftertast. I like it. Sweet, decadent orange flavored liquor that is great enjoyed neat. Has similar traits with Pyrat and Grand Marnier. 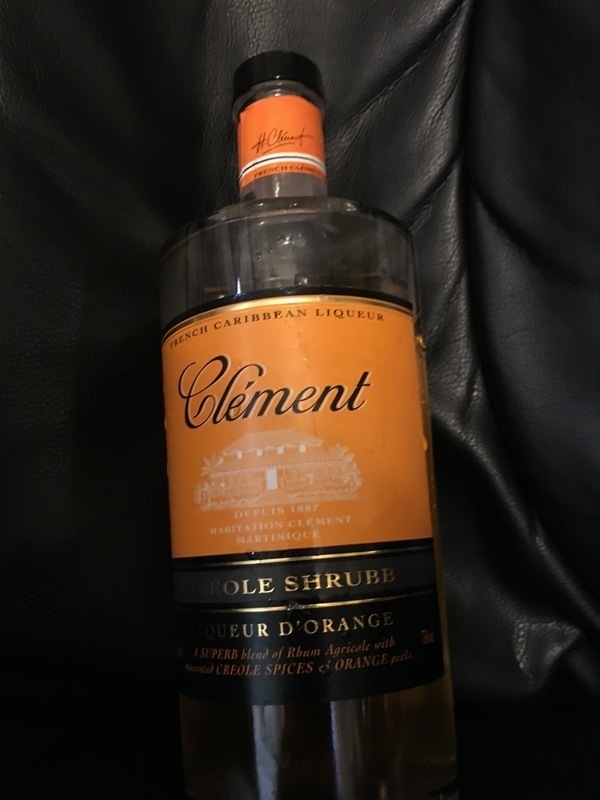 e a l habitation pourquoi sans priver.le cote orange est bien present et prend le sessus sur l alcool.un bon schrub.certains etant sur l orange amere celui la est sur la douceur.seul nemol on ne sent pas la specificite du rhum clement.contrairement a celui de bielle qui est le meilleur au monde car on reconnait bielle a travers le produit.